You can spend all your time creating a website that is pretty. Bold colours, big photographs and lots of pages, you want your website to leave an impression…However you don’t realise this might also be everything that’s wrong with website builders. To make a good website, you want to create an experience for your users. Websites should be built with the user in mind to create a perfect user journey from the moment they find your website to the moment they leave it. This requires good website structure and the latest SEO which, unfortunately- free website don’t offer. Search Engine Optimisation (SEO) is the process of improving the content of your website to increase your position on a search engine results page. There are many different aspects to SEO you should be aware of when you are looking to build a website, but one of the important aspects you need to consider is on-page SEO. When you build your website with a free website builder, you do not have any control to the code, only the design. You will be unable to use any structured data which will help increase your local SEO ranking and you will even be unable to add content. Part of growing your online visibility through Google is creating content to attract new users, however, with a website builder, you will be unable to manage your own blog section. Nearly 60% of Google searches now come from mobile devices. More users than ever are browsing websites on their mobile. A further 62% of companies that designed their website to be mobile-friendly had increased sales in comparison to websites that aren’t optimised for mobile. Web builders don’t offer responsive design. 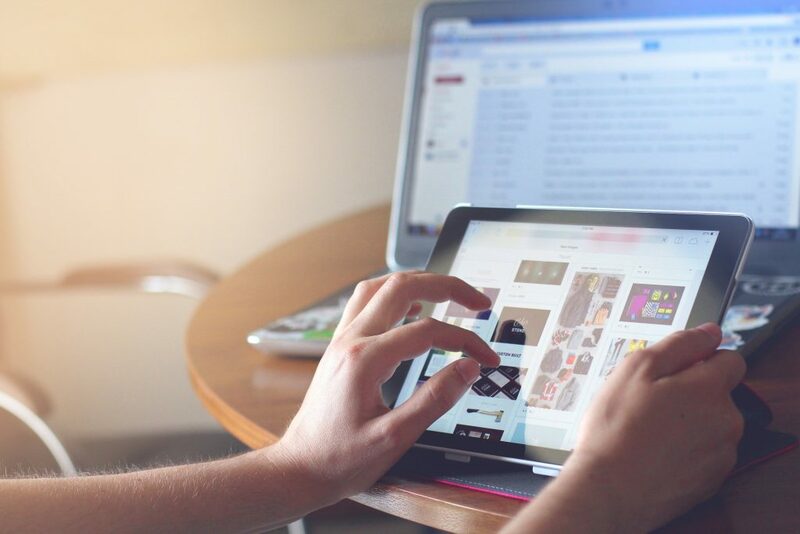 This means you can build your website on a desktop and it may look great, but unfortunately, it isn’t going to look or work the same on a mobile or tablet device, and this is what your users will be seeing. Slow websites are bad for user experience, will result in low sales and will also affect your search engine rankings. When you use a website builder, your website will be amongst hundreds or thousands of other websites on the same server. Free web hosting is usually low-quality hosting with poor support which results in low resources for content and slow results. 9.6% of your website visitors will exit your website when the page speed is more than 2 seconds, but 32% of visitors exit the website when a page takes longer than 7 seconds to load. Can you afford that time lost? A content management system is a tool that allows you to organise writing, editing and publishing content online. This includes design, file types (page, blog, resource) or how this content is displayed on your website. Often, you can get CMS’s with built in SEO guides which tell you how you can best optimise your content. On a website builder, you will be creating static HTML pages with no page structure or good user experience. And much more. With website builders you will be unable to access any reports or analytics data, so you won’t have any idea when it comes to how your website is being used in order for you to possibly make it better, or see if it is working for you at all. With most website builders, you don’t get your own domain name. You will have your username attached with something such as .free-advertisement.co.uk. This looks long, is difficult to type in and does not put any trust in your brand. You will also get banners on your header and footer telling users that your website was free and how they can make their own. You don’t want your users to feel that you don’t care enough to invest in a real and professional website. Your website will never be yours on a website builder. You will be unable to migrate your content across to a CMS builder should you choose to invest in one later, and if you want to move your web pages you will be unable to. Unfortunately, this means that the platform you invested your time into will continue to legally own your website. If your website goes down, if there is an issue with the server or if a plugin is no longer working, even with the top free website builders you will be unable to get the support you deserve for your website. If your website is down for an hour, who knows how many users, leads or sales you might miss out of due to a technical issue. You might even be unaware that your website is broken and users will be unable to contact you. Website builders won’t take the time to contact you and let you know their servers or services are unavailable, it’s a risk you take. Whatever your business type, your website will often be someone’s first impression. A professional website built by experts will give you a better chance of making sales and getting enquiries. Each Air website is completely unique, our experts take one of our exciting designs and customise it to suit your business so you get the benefit of a unique website that is built for your business, without the cost of a bespoke site. You get the best of both worlds, high quality at low cost. Get in touch today.